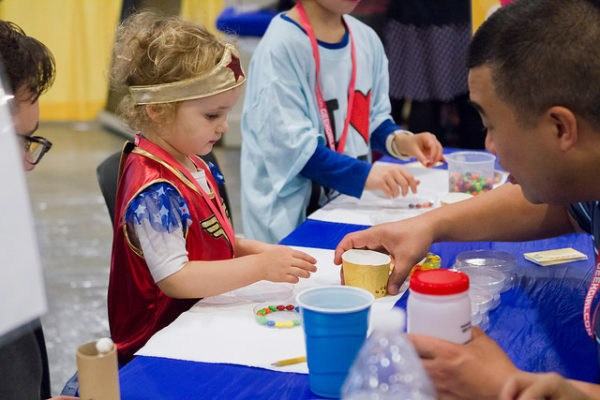 While the next GeekGirlCon is almost a full year away (November 16 and 17, 2019! ), we’re already getting the ball rolling, and we’d love your help! We’ve compiled an Amazon Wish List of items that will help us make the con a success. If you’d like to support our mission, please take a look and consider donating an item or two to the cause. Source: Giphy. Description: An overhead shot of many people putting their hands into a pile as a celebration of teamwork. The last “hand” is a dog paw. Each item on the wish list is labeled with the area of the con it will help support, so you can contribute directly to the experiences that have had an impact on you. Love our panels and featured contributors? Consider donating a Southwest Airlines gift card to help us bring in more panelists from more places around the country. Appreciate our accessibility efforts? You may want to donate a pack of writing pads to support that mission. Source: Giphy. Description: a trio of people dressed as Santa’s elves wrapping a present. Whatever you love about GeekGirlCon, our Amazon Wish List is a great, inexpensive way to have a tangible impact on next year’s con. We appreciate your support and can’t wait to show you what we have in store for the upcoming year! 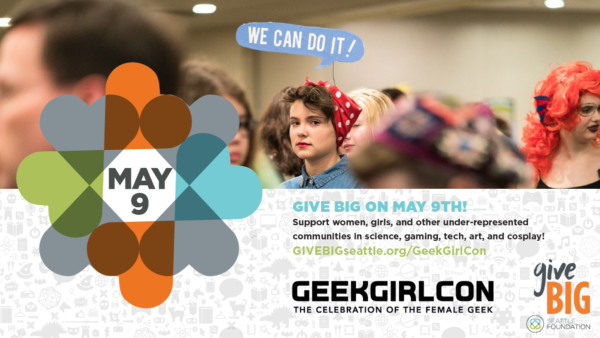 Thank you for supporting GeekGirlCon during our third year of teaming up with Seattle Foundation for its GiveBIG program! With your help, we raised $14,846 from 41 donors! As a volunteer-run nonprofit organization, GGC relies on the support of this community to continue to exist and grow. We can’t thank you enough for helping us both maintain and develop spaces where geeky girls, women, non-binary people, and their supporters are safe to be who they are, enjoy what they love, and celebrate women who have done and are doing great things. Source: GGC Flickr. 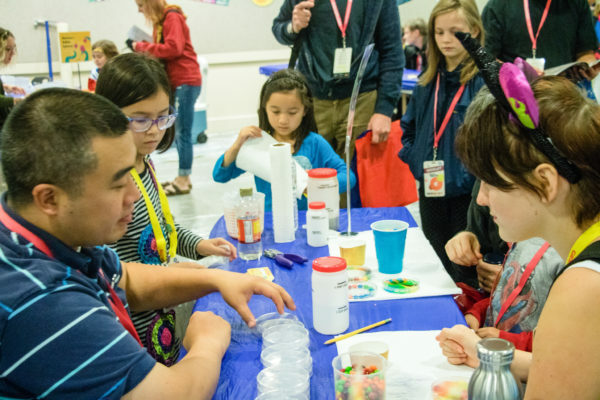 Description: A group of adults and children gather around a table of science supplies at the GGC17 DIY Science Zone. Because of your support, we will be able to continue adding more programming, gaming, vendors, artists, year-round events, and community engagement to the GeekGirlCon lineup in the coming year. Your passion for the GGC mission makes everything we do possible, and we are so honored to have you partner with us as we continue to build this community. We can’t wait to show you the ways that your donations will make a difference both at the con this October 27-28 and throughout the year. Thank you for believing in us! Source: Giphy. Description: a gif montage of Annie and Troy from Community high-fiving each other. 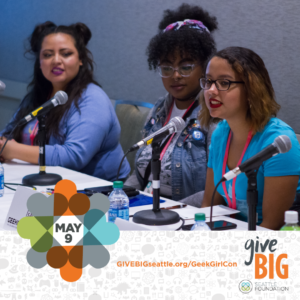 GiveBIG this year and support GeekGirlCon! 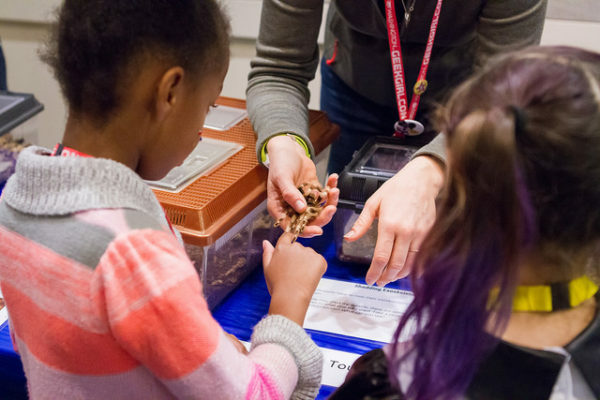 Each year, local nonprofits receive a surge of support during the Seattle Foundation’s annual giving campaign, GiveBIG. GiveBIG invites individuals to support their favorite nonprofits with monetary donations. You can check out GeekGirlCon’s page here. This year, we’re able to provide matching funds thanks to former GeekGirlCon board president I-Wei Feng. While this time of year is surely important to a lot of orgs, it’s also super important to us, as it’s when some of GeekGirlCon’s most supportive individual sponsors show up in full force. 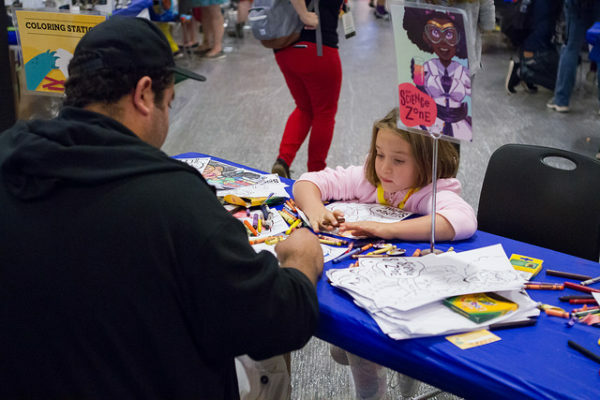 To give you a sense of some of the remarkable folks who really come through for GeekGirlCon during GiveBIG, I interviewed longtime supporter Stevie Lantalia Metke. Whether you love the indoors, outdoors, or both in this summer weather, we have a list with plenty of geeky and interesting things to do this August! This is an open learn and discover laboratory where you can work with some of the creative, technological, and building-centered tools offered through ideaX programming. 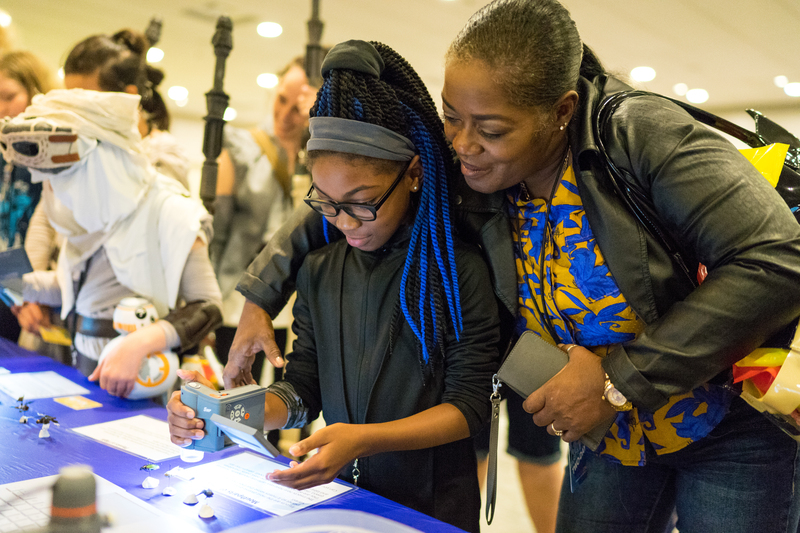 Some of the tools available for exploring are: Play-Doh, stop motion animation kits, Blackmagic Cinema Cameras, Ableton Live 9 + Push, crafting supplies, Squishy Circuits, and more. A collection of coming-of-age short films including: 50%, Big Queer Party, and In This Skin. Read all titles here. Still image from the film In This Skin. 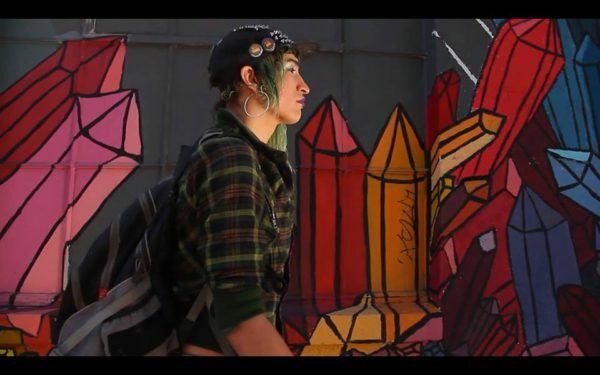 This narrative montage explores the real-life stories of transgender youth. 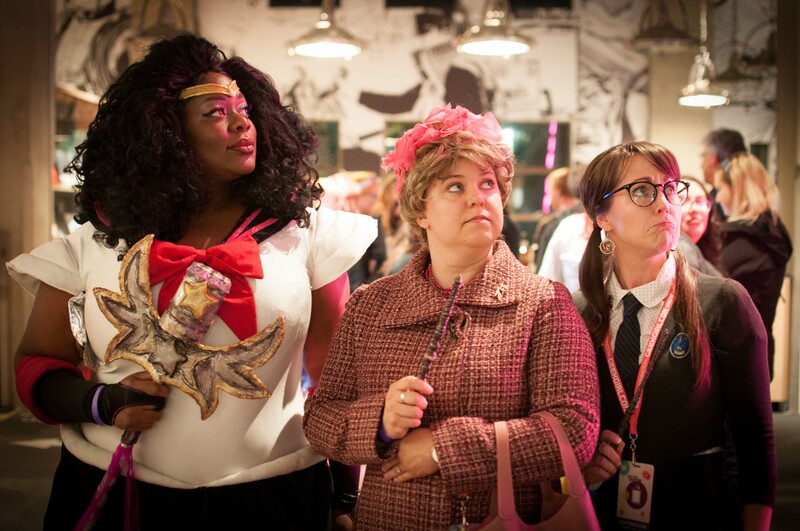 Did you love GeekGirlCon? Become a sponsor! Oh, what a wonderful GeekGirlCon! More than 11,000 attendees came through our con to experience our expansive new floor of exhibitors, a collection of diverse panels, and, of course, the fabulous cosplay contest. 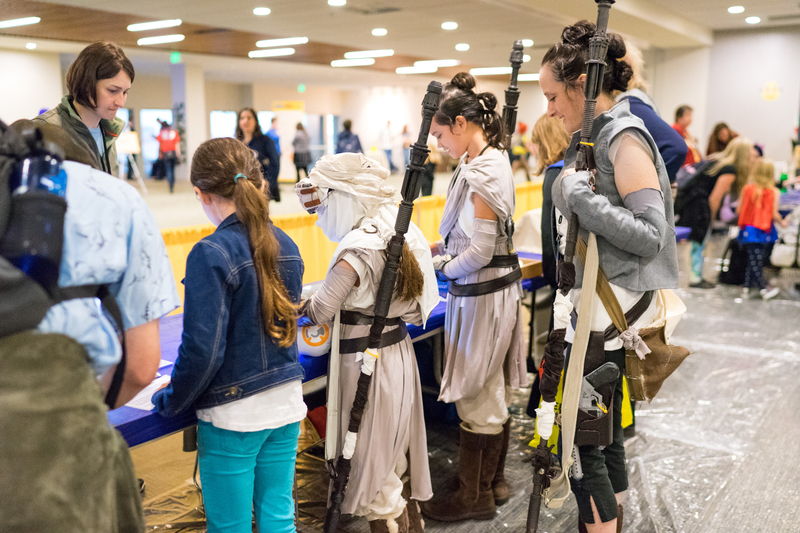 GeekGirlCon 2016 is in the books, but for many it is still in our hearts as an incredible weekend as we share our favorite con moments with friends and family.